The first Ultrabook. Designed to directly tackle the MacBook Air for hundreds of dollars less, the Acer Aspire S3 has a lot to live up to. Find out here if this early Ultrabook has what it takes to take the ultrathin category crown away from Apple. After months of anticipation, the first Ultrabooks are finally here in the U.S. and with them come big expectations in terms of size, build quality and power. With so much riding on initial impressions, Intel has been doing most everything they can to aid manufacturers during the design process, including a $300 million investment over the next few years. 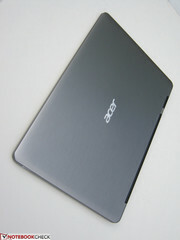 Acer, however, was able to beat other manufacturers to the market with the Aspire S3 Ultrabook. As the first-born child in the Ultrabook world, it will inevitably be compared in almost every way to the more mature Apple MacBook Air. While the latter has been available for over 2 years and has had time to grow, Acer is hoping that the Aspire S3 can undercut Apple with the lower $899 starting price without hindering performance. After all, price aggressiveness has been one of Acer’s key strategies in sales. In this review, we take a close look at the workmanship and performance of the Aspire S3-951 while at the same time answer some of the more glaring questions. 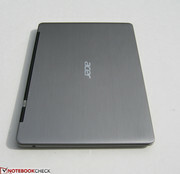 For example, has Acer cut any corners in order to meet the low price tag? How does the performance compare to other ultrathin notebooks? Should early adopters jump in on the first Ultrabook or wait? Our review below will cover all facets of the Aspire S3 and will hopefully aid those still on the fence about purchasing the Ultrabook. To be considered an Ultrabook, one of the requirements is to be no thicker than about 21mm (0.826 inches), so the Aspire S3 definitely delivers in that regard. At only 13.1mm (0.51 inches) and 17.5mm (0.69 inches) at its thinnest and thickness sections, respectively, the ultrathin Acer should have no problems fitting into cases or backpacks. It is also quite dense for its size with an overall weight of about 2.98 pounds (1.35kg), partly due to its inclusion of a HDD. The overall matte gray construct can be a little dull to some users, but the smooth aluminum lid makes for a satisfactory first impression. Unfortunately, the lid could have been stiffer, as the top can be easily depressed with a finger, especially down the center axis and towards the front of the notebook. The base can unfortunately flex when pressure is applied, although not by a major degree where users should be too concerned. After opening the lid, however, we were disappointed to find that the aluminum top was only a façade. Almost the entire base chassis is made of gray plastic, including the keys, and it becomes obvious that this was a cost-saving move by Acer. Regardless, the base is still of average quality, and visually complements the lid despite the difference in materials used. Finally, the hinges are only modest at best. While they are not horrible, they do not feel quite as sturdy as even some budget netbooks such as the Lenovo X121e. We imagine that the situation would be even worse if the notebook is to be used on a car or train ride. Additionally, the force from picking up the notebook while the lid is opened will push the lid back quite easily, so users may have to be more careful with the monitor portion. For an ultrathin notebook, the Aspire S3 includes most of the physical connectivity options you’d expect from its category, but unfortunately lacks USB 3.0, an always-on USB 2.0 port and an Ethernet port. The main problem here, however, is that most of the ports are located on the rear where the notebook is at its thickest. As one can imagine, it would be hassle to constantly look behind the notebook in order to simply connect a USB device or external monitor, so users may not welcome the idea of having USB ports positioned only at the back. Fortunately, the multi-card reader and combo audio jack on the sides are easily accessible. The Kensington lock is actually located on the underneath edge just below the audio jack. Standard wireless connectivity options are present, such as WLAN and Bluetooth 4.0. The WLAN in this review model is provided by the Atheros AR5BWB225. There is no integrated WWAN or GPS, but most competing ultrathin notebooks don’t offer these features, anyway. What Acer does offer, however, is Clear.fi software, which is the company’s proprietary solution for wirelessly connecting multiple compatible home media devices (televisions, tablets, smartphones, media player, other PCs, etc.). The devices can then manage, access, store, share or stream data from one another be it videos, photos, YouTube or Facebook. Dedicated add-ons for the Acer Ultrabook are currently not offered, but third-party accessories should work as expected with the USB 2.0 ports. Users who need an optical drive, for example, should consider purchasing an external solution since the Aspire S3 does not include a built-in DVD or Blu-ray drive. Furthermore, the notebook includes no proprietary connector for specialized docking stations, so don’t expect any external USB 3.0, eSATA or additional video-out ports in the future. The standard one-year warranty from Acer applies to the Aspire S3, although additional options are provided depending on the retailer. Two or even three years of extended coverage are available from shops such as Best Buy or Wal-Mart for about $100 to $200 more. The non-backlit, flat chiclet-style keyboard is softly textured to the touch and is generally a good size (26.7cm x 10.2cm) with well spaced keys, but a few features hold it back from being a comfortable keyboard. The keys, for example, feel rather stiff and could have benefitted from more depth when pressed. It may take some time to get used to the quiet and very shallow keys, especially for users habituated to desktop keyboards. The arrow keys especially could have been improved, as their small sizes make them quite difficult for larger fingers and are very mushy to use. An arrow key is practically a quarter of the size of one of the QWERTY keys and with less spacing between them to boot. The keyboard, while a good size overall, simply does not offer an adequate amount of tactile feedback expected from a notebook at this price range. For the most part, the flat touchpad on the Aspire S3 does not disappoint. Its relatively large size (8.7cm x 6.5cm) is almost as large as the 2011 13.3-inch MacBook Air touchpad (10.41cm x 7.62cm) and is textured similarly to the plastic makeup of the notebook base. The extra surface area also makes for easier use of multi-touch gestures, such as two-finger scrolling and pinch-zooming. Also like the MacBook, users will have to click by pressing on the touchpad itself with no dedicated left or right buttons to speak of. The sound feedback from clicking is a bit muffled, especially in comparison to some Lenovo ThinkPad models, but it definitely gets the job done in terms of responsiveness and smoothness. Of course, the notebook may at rare times register a left click as a right click and vice versa, but that is to be expected when multiple click commands are integrated under the same touchpad. The Aspire S3 makes use of a 13.3-inch glossy display with a native resolution of 1366x768 pixels. While it’s not the higher 1440x900 resolution that the MacBook Air offers, it’s the same resolution as the 13.3-inch Samsung Series 9. Heavy multitaskers may feel the need for a secondary monitor, but the display is somewhat bright at first glance with satisfactory colors and sharpness. With the Gossen Mavo-Monitor, a respectable maximum brightness of 207 nits was recorded on the center of the screen. It would have been nice if the monitor was able to stay above 200 nits on all areas, but the brightness does dip below that value towards the edges. Still, screen brightness is acceptably uniform at around 88 percent and even stayed more or less the same when the notebook was unplugged. The MacBook Air and Samsung Series 9, however, trounces the Acer screen in terms of maximum brightness levels. The color space reproducible by the Aspire S3 is average at about only 64 percent of the sRGB spectrum. Additionally, the display of the 13.3-inch Samsung Series 9 handily outperforms the Acer here. When compared to the 13.3-inch MacBook Air, however, the reproducible color space is about equal. Keep in mind that the colorimeter used to obtain the ICC profile for the MacBook was different than the one used in this review, so there may be slight discrepancies in the direct comparison between the two displays. The unfortunate screen glare prevents the Aspire S3 from being a good candidate for prolong use outdoors. Do expect to turn the brightness up to its maximum and be prepared to find shade or it may become difficult to view onscreen text. The integrated 1.3 megapixel webcam allows for 720p recording, but expect large amounts of lag and reduced frame rates. The “Auto lighting” feature helps somewhat in poorly lit rooms, but the camera works best at lower resolutions and in brightly lit environments. Viewing angle stability is notebook typical. 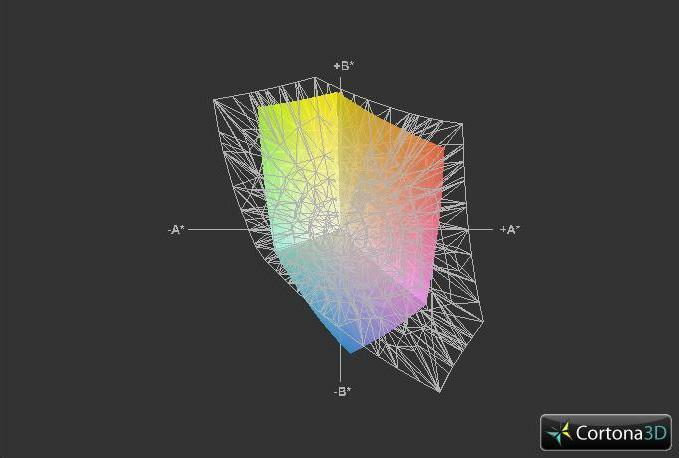 A slight vertical viewing angle from below the normal will almost instantly result in distorted colors, while side view distortions are not as severe. It’s possible to share the screen with a small number of other viewers, but the potential glare from the super-glossy display could be an issue. The Aspire S3 under review includes a Sandy Bridge Core i5-2467M CPU and is at the time of review the only option for customers. Still, the dual-core processor is quite speedy for the ultrathin laptop category even with its low 17 Watt TDP. 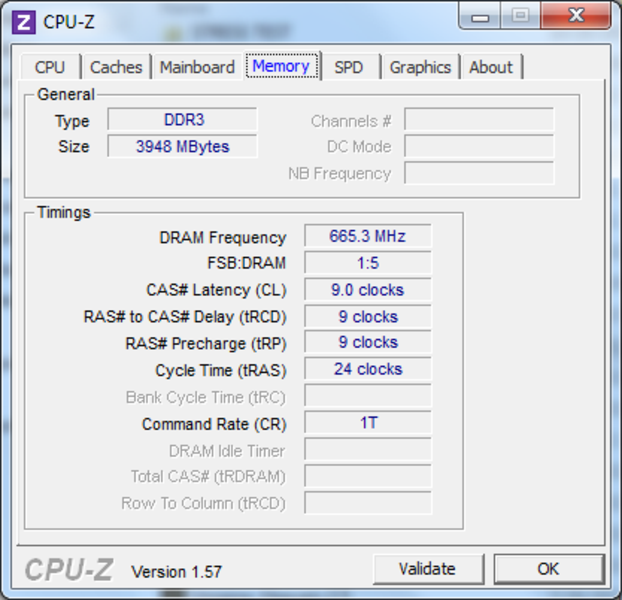 Turbo boost is supported up to 2.3GHz for a single core or 2.0GHz for both cores. 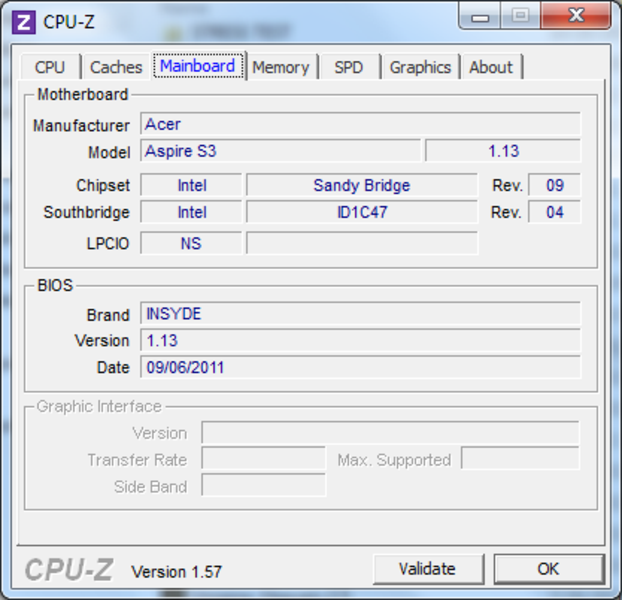 Note that the same processor is also found in the 11.6-inch 2011 MacBook Air. See here for more information on the processor. 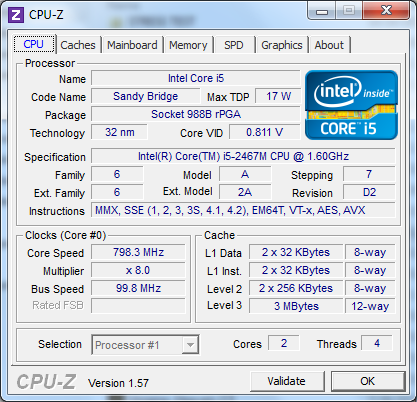 Like other Sandy Bridge processors, the Core i5-2467M is equipped with an integrated Intel HD Graphics 3000 GPU. With no dedicated GPU inside, the Aspire S3 relies on the Intel chip for all its graphical outputs. This particular graphics chip in the Acer supports Turbo Boost up to 1150MHz, but is otherwise at its idle 350MHz speed, according to HWiNFO. It’s also worth mentioning that only up to DirectX 10.1 is supported, but gamers should really be looking elsewhere for more graphically capable laptops, anyway. With that said, more detailed information on the Intel HD 3000 can be found on its dedicated review page here. For memory, the current Aspire S3 model includes 4GB DDR3 RAM. Like other ultrathin notebooks, the RAM is soldered directly onto the motherboard to reduce weight and size, so users will be stuck with 4GB RAM from beginning to end. 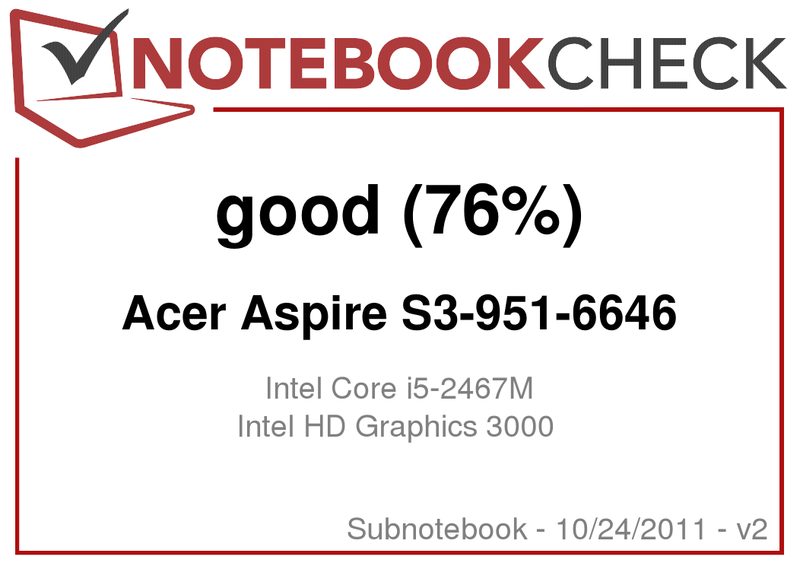 In the CPU-oriented benchmarks, the Core i5-2467M performs well against the competition when taking into account the price range of the Aspire S3, but it is ultimately hindered by the HDD. For example, in PCMark 7, the Acer Ultrabook scored 1942 points, compared to 3289 and 2355 points of the 2011 11.6-inch MacBook Air (w/ same CPU) and 13.3-inch Samsung Series 9 (w/ 1.4GHz Core i5-2537M), respectively. The PCMark Vantage scores show the deviation even better at only 4909 points for the Acer versus 9414 and 8657 of the Apple and Samsung, respectively. Indeed, all signs point to the HDD as the factor for the large performance differences, as the Aspire S3 was almost on par with the MacBook Air in all CineBench test runs and was able to edge out the Samsung Series 9 in the multi rendering tests. 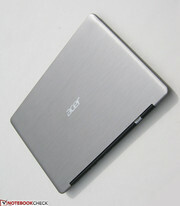 As for the GPU-oriented benchmarks, the Acer here performs in line with other Intel HD 3000-equipped notebooks. With a GPU score of 1168 in 3DMark Vantage, the Aspire S3 plays as expected in the graphics department. Still, it’s a great improvement over the previous generation of Intel GMA HD graphics and is more than capable for HD video playback, Flash content and extra-light gaming. Overall GPU performance, unfortunately, appears to be lower when running on battery power. Cinebench scores show that while CPU performance is independent of the current power source, the integrated GPU actually achieves lower numbers. For example, the Aspire S3 scored 4075 points in the OpenGL Cinebench R10 64bit test, but only 3636 points when on batteries. The same trend was seen when running Cinebench R11 64bit, with 7.53fps on batteries vs. 8.01fps with the AC adapter. The same High Performance profile settings were used for these tests. An overview of how this may affect gaming is detailed in the Gaming Performance section below. Instead of a pure 64GB or 128GB SSD storage solution, Acer includes both a 20GB SSD and a 320GB SATA II HDD (Hitachi HTS543232A7A) in order to cut costs and keep the notebook more accessible to customers. This is one of the major differences between the Acer Ultrabook and the 2011 MacBook Air, Samsung Series 9 or Asus UX21/UX31, as these other ultrathin notebooks rely solely on SSDs with no HDD options. 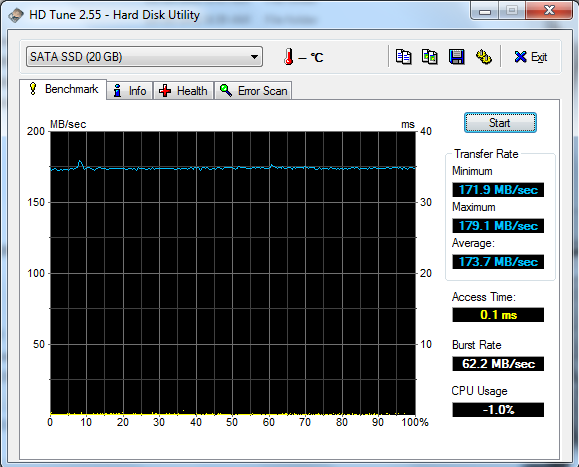 Regardless, the 20GB SSD is responsible for saving current memory to the drive. This means wake-up and resume times out of hibernation are almost instantaneous, which Acer calls Green Instant On. All components of the Windows OS are still located on the mechanical drive, however, so cold boot times see no benefit. Keep in mind that the SSD cannot be accessed by normal means as it does not show up as a letter drive on Windows. Indeed, it is a bit upsetting that the user is not allowed to directly and easily use the SSD as if it were a normal partition from the get-go. It can, however, be seen on the Windows Computer Management screen with the label “Hibernation Partition”. Although the mechanical drive can be replaced by the user, Acer does not appear to recommend it due to the steps involved. Twelve screws from the bottom base must first be removed before the hard drive can be meticulously detached. The polymer battery is exposed here as well, but has been integrated to discourage the end-user from tinkering with it. With HDTune, the 5400RPM Hitachi drive shows an average transfer rate of about 57.7MB/sec. This is quite disappointing as even budget 11.6-inch netbooks such as the Lenovo X121e and Acer Travelmate 8172T have higher average transfer rates of about 86.8MB/sec and 67.8MB/sec, respectively. And of course, the drive is no match for the SSDs in the MacBook Air and Samsung Series 9 with an average of roughly 150MB/sec each. 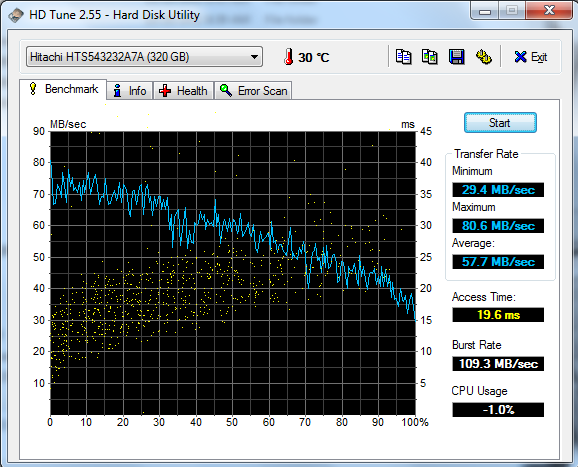 Oddly enough, HDTune recognizes the 20GB SSD, but CrystalDiskMark only sees the HDD. Although the SSD here recorded an average transfer rate of 173.7MB/sec, it ultimately does not help as much as the user would like since programs are going to be installed on the 5400RPM hard drive. Out of the combined 340GB of space, about 275GB is readily available from the HDD. With the DPC Latency Checker, no recurring high latency peaks were detected, even with wireless radios active. We tested the latest FIFA game with the Aspire S3 as the game has been known to work well with notebooks without dedicated GPUs. The results below were recorded with FRAPS with the AC adapter. When on battery power, frame rates dipped slightly by about 3 and 6 frames on average under high and low graphics settings, respectively. We kept a close eye on the GPU speed with HWiNFO. If running on batteries, the graphics chip stabilizes at around 700MHz to 850MHz and almost never any higher. Plug in the AC adapter, however, and the GPU will stabilize at about 950MHz to 1000MHz with the occasional 1150MHz Turbo Boost maximum; Any dips below 900MHz were rare. The voltage through the processor will apparently scale accordingly depending on the power source. In other words, everyday mundane tasks should perform just fine on battery, but running games or other graphic intensive workloads are best done with a wall outlet close by. 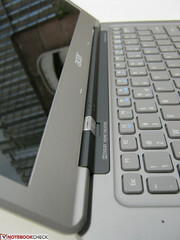 The Acer Ultrabook stays almost completely silent when idle or even when surfing the net or watching videos. A slight hum is noticeable during high definition videos, but nothing distracting. When stressed and at maximum fan speeds, the notebook can get somewhat loud in quiet areas, but still within reasonable levels. It should be more than capable for use in classroom or library circumstances. The ULV processor inside the Aspire S3 should provide for a relatively cool experience regardless of workload. When idle, the notebook is quite cool overall, although it is a noticeably warmer towards the left side. Under load stress, the notebook temperature rose about 4 and 5 degrees C on average on the top and underside, respectively. Again, the hottest spots are on the bottom closest to the fan, which could be 10 degrees C warmer than the spots farthest from the fan. This is definitely noticeable and can be a little too warm, but unless you like to run heavy programs for an extended period of time on your lap, then the temperature shouldn’t be a significant problem. The system fan works through the keyboard as well, so the user can feel a small vortex of air near the top left portion of the keys when the fan is at maximum speed. 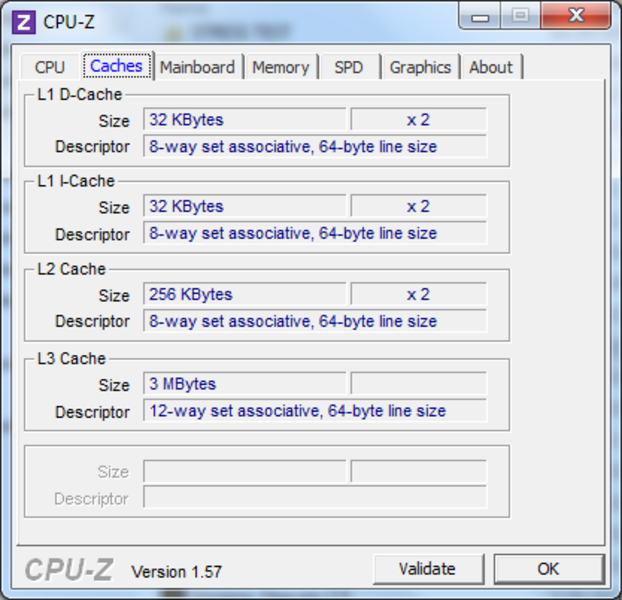 With HWiNFO, no throttling was observed when running FurMark and Prime95 simultaneously. The Turbo Boost was in effect for only the first minute or so, but both cores eventually settled at 1.595GHz and never anything less or more. 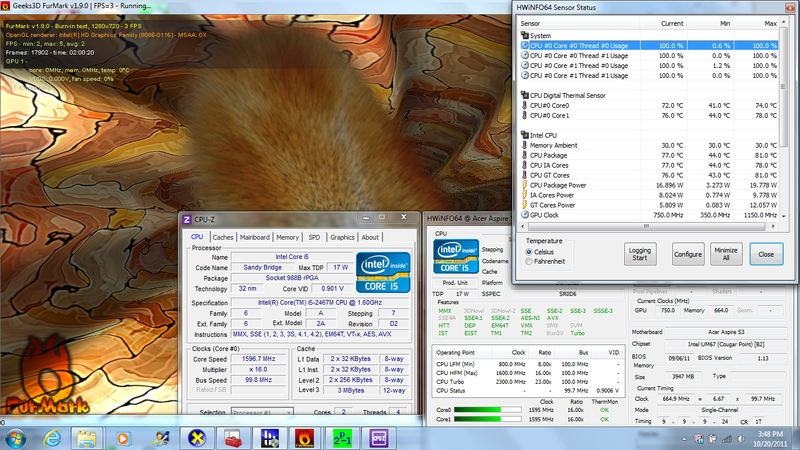 Likewise, the integrated Intel HD 3000 maxed out at 1150MHz with Turbo Boost, but quickly settled at 700MHz to 750MHz. No throttling was observed on the GPU side. Indeed, the 3DMark 06 CPU score following the stress was extremely close to the original score at 2409 points. As for temperatures, the cores were stable at around 75 degrees C each when under maximum load. Ambient temperature during this stress test was 20 degrees C.
(+) The maximum temperature on the upper side is 38.4 °C / 101 F, compared to the average of 35.8 °C / 96 F, ranging from 22 to 57 °C for the class Subnotebook. Acer includes “professionally-tuned Dolby® Home Theater® v4” surround sound speakers with each Aspire S3. The two speakers are on the bottom of the notebook -- one on the left and one on the right -- so they are not exactly directed toward the user. Still, we found sound quality to be good, especially from a 13.3-inch notebook. Volume can be sufficiently loud to fill a small conference room, but external 3.5mm solutions are always recommended for extended use or when more bass and fidelity are needed. The Aspire S3 includes a built-in 3-cell lithium-polymer for 10.8V of power. With a more power-draining mechanical drive and only half the number of cells as the 13.3-inch Samsung Series 9, we half-expected the Acer to underperform in comparison to other ultrathin offerings with regards to battery life. The BatteryEater tests confirm our initial predictions. With BatterEater Classic, the Acer Ultrabook clocked in at 96 minutes before finally shutting down. 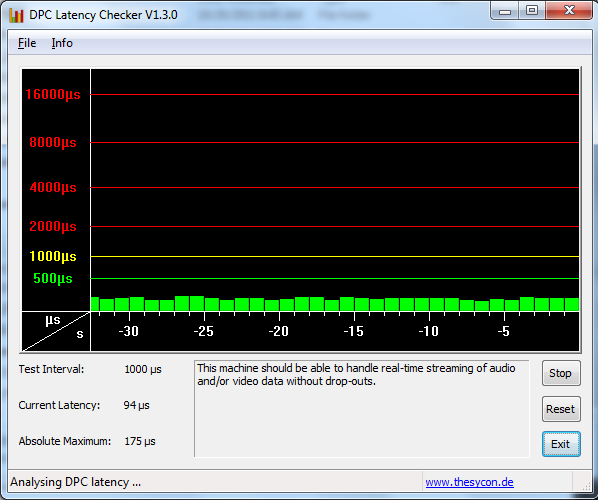 This minimum battery life test had the notebook at the High Performance profile with maximum brightness and WLAN enabled. In comparison, the 13.3-inch Samsung Series 9 and 13.3-inch 2011 MacBook Air lasted 181 and 120 minutes at maximum load, respectively, before shutting down. On the other end of the spectrum, the maximum battery life recorded with the BatteryEater Reader’s Test was a relatively low 399 minutes. The notebook was set at Energy Saver settings with minimum brightness and WLAN enabled and was not allowed to sleep or hibernate. In comparison, the Samsung Series 9 and MacBook Air lasted 677 and 660 minutes, respectively, under more or less the same testing conditions. In a more reality-oriented test, we had the notebook at the Balanced profile setting with 66 percent brightness and browsed the net with Flash enabled and the occasional videos. We were able to hit 213 minutes before the 5 percent battery warning window popped. While not an incredibly bad battery life, it is noticeably shorter than other notebooks of its size category. Of course, this is highly variable depending on how much computational demand is expected out of the Acer. Constant HDD access will likely lower battery life even further, unlike other ultrathin notebooks where less power-hungry SSDs are used instead. A full charge from a depleted battery will take around 140 minutes when the notebook is off. As the least expensive Ultrabook and one the first to be available, it may not be too surprising to hear that certain important features have been firmly cut in order to meet the $899 price tag. Instead of a full aluminum alloy chassis, we are given a body that is distinctly half aluminum and half plastic; and instead of a dedicated SSD, we are given a 320GB HDD with a 20GB SSD essentially treated as cache. Additionally, the relatively frail hinges and mushy plastic keyboard in particular make the otherwise satisfactory build quality of the Acer appear more flimsy than it really is. Performance-wise, you’d be hard pressed to find a 13.3-inch ultrathin notebook that bests the Aspire S3 in terms of power given the price. For example, the 13.3-inch MacBook Air do have options for faster Sandy Bridge CPUs, but will cost at least $300 or more than the Acer. Even the 13.3-inch Samsung Series 9 costs hundreds more and only includes a comparable but lower-clocked Core i5-2537M. But, once you take into account better build quality, higher capacity SSDs and longer battery lives of the competition, then the price differences between the reviewed Aspire S3 against other ultrathin notebooks become more understandable. 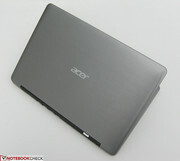 Currently, Acer is planning to make available Aspire S3 Ultrabooks with Core i7 options and larger SSDs in the near future. Unfortunately by then, additional Ultrabooks from other manufacturers may be obtainable below the $1000 price range. The 13.3-inch Asus UX31-RSL8 Ultrabook, for example, includes a full aluminum alloy chassis, 128GB SATA III SSD, the same Core i5-2467M CPU, USB 3.0 and an Ethernet port for only $150 more than the Aspire S3 and is already available in the U.S.
Those who absolutely want the first Ultrabook will find that the Acer Aspire S3 provides good CPU performance with adequate build quality when price and size are of top concern. For everyone else, we still suggest waiting for about a month or so to see what options other Ultrabook manufacturers will have to offer before jumping in on the bandwagon. The thinness, solid CPU performance and price make this Ultrabook stand out from the ultrathin market. The lack of USB 3.0 and a higher capacity SSD are sorely hindering the performance of the Acer when compared to its immediate competitors. The smooth sheen, dense weight and impressive dimensions are a good start for Acer in the growing Ultrabook market.